According to BOMA’s 2015 Office Experience Exchange Report, the average cost of unused space in the U.S. is $25 per square foot or more. Imagine that a company’s entire real estate portfolio is 40% vacant — as was the case with a Gensler client who had multiple locations around the globe. Upon learning of its vacancy rate, the client conducted utilization and activity analyses to identify space inefficiencies. The resulting data informed where to consolidate, which departments were ready for mobility, and spaces that needed improvements. 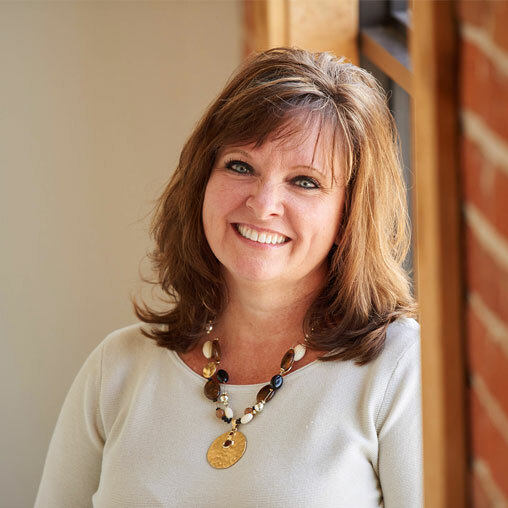 In addition to optimizing the work environment for employees, vacancy was reduced by 25% — saving the company $14.4 million in annual operating costs. The moral of this story is that data can have a huge impact on strategy and profitability. Quantitative and qualitative data about space usage is often critical to obtaining buy-in for corporate real estate strategies. Those responsible for managing workplace and real estate want to better understand the way space is being used by employees — whether in attempt to reduce space, better utilize real estate, or to understand how employees are working. Tie in the financial impact of these metrics and a case for change has been built. This is the final post in a three-part series about corporate real estate strategy, and it covers ways to combine and analyze data from different sources. If you’re just tuning in, the first post positioned real estate as an asset, not a cost, and shared ways to change the conversation in your organization. Post two broke down the process and methodologies for capturing data. This post wraps up the series with examples of Gensler projects that layer data from multiple sources to inform a strategy. Verifying current standards/benchmarks and space allocation metrics in the early stages of programming (often for a prototype or pilot project). Optimizing a space to better suit the needs of the users. Determining departments for mobile readiness and considering the implementation of seat sharing as part of a mobility strategy. Identifying opportunities to save space by consolidating leases and staff. Measuring employee wellness by comparing seating or standing postures with employee turnover rates from HR to help indicate the impact that a workplace has on job satisfaction and employee retention. Informing reasons that areas dedicated to a specific task are underutilized. To illustrate these examples further, Gensler is sharing three case studies where data played a key role. Each case study has a unique objective and combines different tools and methodologies for capturing data. They all have one thing in common—quantitative and qualitative data was used to inform a strategy and build a case for change. How people think they use space, and how they actually use space are often two different stories. A company was in the early stages of planning a real estate, design, and mobility strategy with the goal of optimizing its workplace. First it needed to find out how employees were actually using the current space. The company partnered with Gensler to capture the data needed to inform its strategies. The Gensler team used the iPad app, Observe™, to gather data at 2,460 identified spaces within the workplace. After ten days of surveying, the raw data was analyzed, creating dynamic reports of what occurs during typical work days. 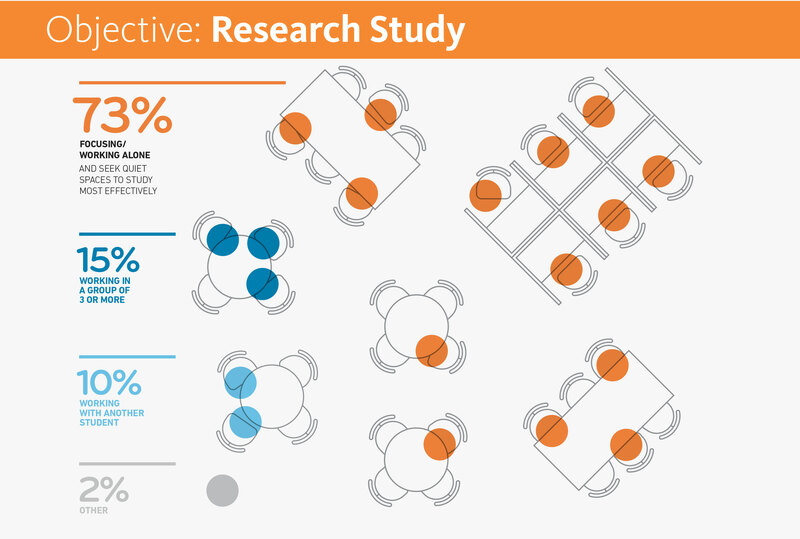 These reports indicated how often space was utilized, what time of day room usage peaks, the average time people spend at their desks, what type of work they are doing, as well as average meeting sizes and where those meetings occur. Based on the findings, Gensler designed a pilot workplace, part of which included low tables surrounded by soft seating. The idea was to provide a place for people to work comfortably — a place where they could put their feet on the table and work with their laptops on their laps. To test the effectiveness of the new design, an activity survey of the pilot space was conducted. The results made it clear that the low tables were not being used as anticipated, but it wasn’t immediately clear why. By soliciting feedback, it was revealed that employees felt too polite to put their feet on the tables, resulting in these areas not being used at all. In order to make better use of this space, the design program was revised to feature a different type of soft seating with higher tables. After these changes were implemented, the space was surveyed again and found to be effective. The revised design was then rolled out to a larger segment of the portfolio. Activity surveys continue to inform the design of each new floor that is implemented, ensuring continuous improvement in aligning the space with the needs of the employees who will use it. By observing and adjusting to actual usage patterns, the client is able to avoid the cost and frustration of rolling out a non-optimized design program. The revised design also includes light sensors over each desk and in all offices, conference rooms, huddle rooms, and other common areas. While the primary purpose of the light sensors is to conserve energy, they also passively capture data about space utilization—providing on-going utilization monitoring over time. 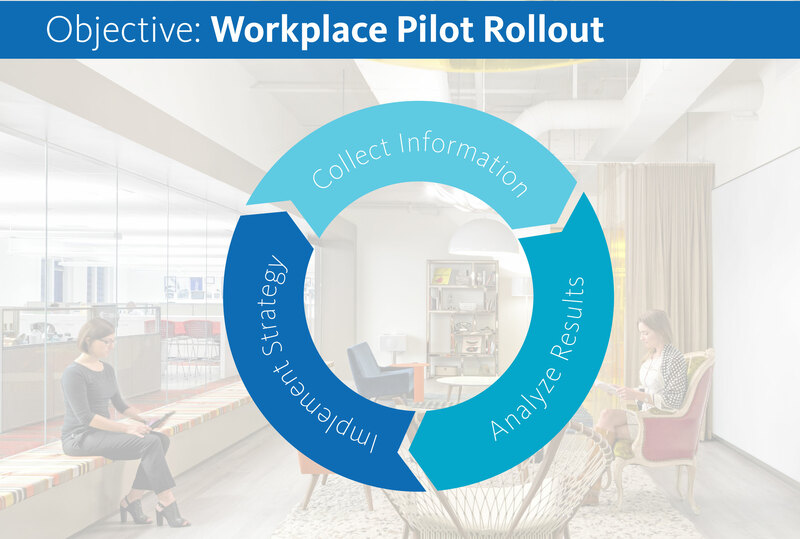 A client wanted to implement a mobile workplace strategy, but first needed to determine the mobile readiness for a set of targeted departments in more than 130 locations worldwide. 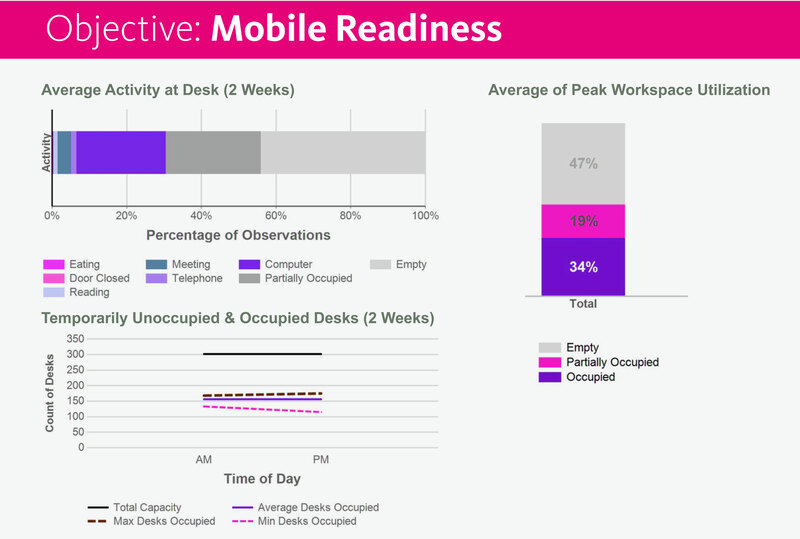 It was determined that both utilization and activity data would be needed to determine mobile readiness, and the best way to collect the data would be with an Observe™ survey and an online employee survey. The Observe™ survey was designed to capture change indicators which measure how well departments will transition to non-assigned space. This included whether employees were using laptops or desktops, the amount of paper or files at each desk, and the extent of personalization of each space. The employee survey gathered information about how the employees perceived and felt about the space—giving the departments the ability to share their feedback. This data was then combined with data captured through focus groups to create a comprehensive report and recommendations for future space strategies. The client is currently in the process of implementing a mobility program for the target departments. They learned that the departments that showed signs of mobile readiness were the ones who were asking to go mobile in the survey. Aligning observation and interactive data gave the client the ability to show those departments their feedback was being heard. As colleges and universities struggle with changing educational context, there is a growing need to understand what’s next for the library environment. Gensler is conducting a multi-year research study to better understand the utilization of academic libraries. The study records detailed student usage patterns over seven academic libraries located in the U.S. and U.K.
To successfully observe occupant behaviors, Gensler is using its iPad app Observe™ to collect information needed to aggregate data and make insights on the behaviors observed. Data collected includes whether students have an electronic device such as a laptop or iPad, if they are alone or working with others, whether they were sleeping or eating, and more. Observation data was then layered with spatial data, such as access to outlets, distance from windows for natural light, distance from the librarian, and size of the tables. When all of the data was analyzed, it was clear that libraries need to bridge the gap between how students perceive the library and the actual needs of the students. The need for the library is still there, but the space itself needs to adapt to modern work modes. Based on the data, Gensler has identified recommendations for improvements. The continued observations from this study will be used to better support evolving student needs. As illustrated in these case studies, capturing quantitative and qualitative data is critical for informing a strategy and building a case for change. In each study, activity data was combined with utilization data to inform a cost versus value discussion, as covered in post 1. The tools and methodologies for capturing data were determined by setting clear objectives up-front, thus creating a tailored approach to each case, as discussed in post 2. In this post, the data has been layered, analyzed, and used to inform a strategy—thus rounding out the process and concluding this blog series.